Portability is now a thing in our hectic world. Thanks to laptops, anyone can play video games, do work, and socialize while on the go. However, some individuals may only want to own a notebook exclusively for work. And others would get one just for gaming. Whatever reason you have, our top picks will surely help you find the best laptop for you. 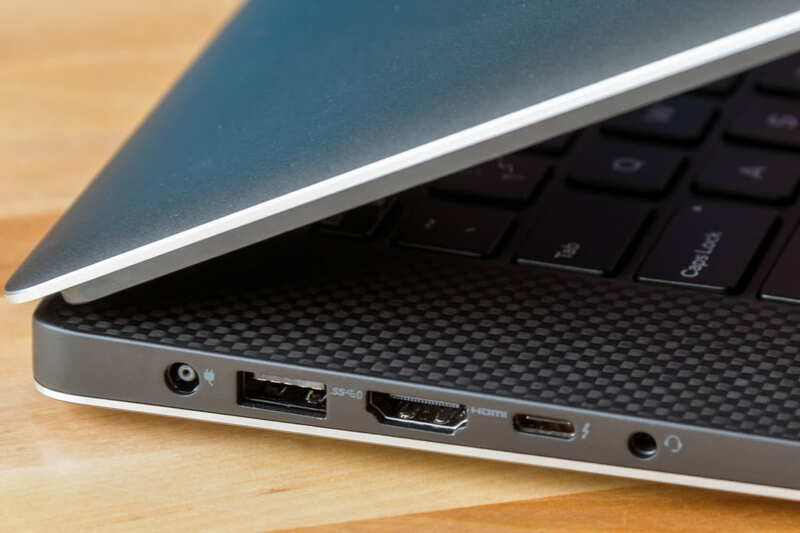 Whenever we hear “Chromebook,” one of the first things that’ll come to mind is that it’s tiny. The staple screen size of its kind is just 11.6 inches. The C300SA, however, is 13.3 inches – which gives you that comfortable, clear browsing experience. Furthermore, it’s very light and ideal for traveling. It only weighs 1.35 kilograms, and yet it can browse the net for about 11 hours. Take note that it’s not running on Windows or Mac, it’s operated by Chrome. And, technically, it doesn’t provide much diversity but browsing. Thus, if you’re into more than that, this computer might not be for you. But as long as you’re satisfied with what Google has to offer such as Google Doc, Gmail, and its other apps, it’s worth it. If you’re on a budget, but you need a computer to accomplish a decent amount of minor tasks, the Ideapad 110 is for you. First of all, let’s be clear, this laptop isn’t made for heavy-duty operations. It’s only 1.15 kilograms in weight with an 11.6-inch screen, making great for people on the move. And it runs on Windows 10 Home, which means it can install more software – giving you versatility. But it’s not powerful enough to execute editing tools or games that require a lot of processing power. Nevertheless, it can run Microsoft Office tools such as Word or Excel and browse the internet smoothly, given that it’s the only program running. First and foremost, this is a 2-in-1 computer. But it does feel more like a notebook than a tablet device. It has an HD 10.1-inch screen with a so-so processor that’s accompanied with 4GB of RAM and 64GB of storage. Granted that it doesn’t have the best specs in this list, it can run basic games and editing tools. This laptop is, without question, a must for every college student. It’s decent enough to take notes and make or edit videos using Microsoft’s Movie Maker for presentation. And since it is tablet convertible, you can use it to record lessons, which you can review for later. Of course, you can also use it for leisure to help you de-stress by taking selfies, socialize on SNS, playing low-spec games, and streaming videos. Dell is, without question, one of the best computer manufacturers in the world. And we proudly recommend one of their best-selling 15.6-inch laptops from the 5000 series, the Inspiron 5567. This machine is Windows 10 operated. And it is powered by a powerful Intel Core i7-7500 processor with 8GB of RAM and an AMD Radeon R7 (4GB DDR5) graphics card. Although it only has 256GB worth of storage, it is, however, a solid-state drive (SSD). This type of storage allows faster data transfer and program execution. Overall, it’s a computer that can smoothly play most staple games of today such as “Dota 2” and “Counter-Strike: GO.” It’s also capable of video and photo editing using professional tools like Adobe Photoshop CC. And, of course, it can perform daily computer tasks such as browsing the web or streaming videos. So if you want a machine that’s capable of doing everything decently, this laptop is for you. In a few words, the XPS15 9560 is almost impeccable. It’s powered with a 7th generation i7 processor with a whopping 16GB of RAM and a GTX 1050 (4GB DDR5) graphics card. Moreover, it’s got half a terabyte of enhanced SSD storage that’s designed for super speed. But the awesomeness doesn’t stop there. Another feature it has is its touch display, 15.6 inches of responsiveness that’s 4K ultra-HD. Engineers heavily rely on programs such as AutoCAD and Microsoft Excel. With its high-resolution advantage, you can set both programs in window mode and place them side by side. This approach allows you to work with them simultaneously for better productivity. Aside from that, it’s smaller than all the other 15-inch laptops as its bezel is significantly reduced. However, it’s far from being cheap. Even with its elegant design and superior specifications, we wouldn’t recommend it for gaming. Yes, it can play high-end games, but due to its size and compact nature, its cooling system isn’t sufficient. We know that most of you, readers, must be waiting for this one – the gaming laptop. When it comes to gaming, we truly understand what you want. A few worthy of mentioning is that there should be no input latency, lag, and poor graphics performance (especially frame rate). Bonuses are if the machine can load games quickly, display in full-HD, and sound excellent. And that’s just what the HP Omen is. When it comes to specs, this laptop uses the big guns: i7-7700HQ Processor (3.8 GHz max), 16GB RAM (DDR4), 6GB GTX 1060 (GDDR5) video card, and has two storage devices – 128GB SSD + 1TB HDD. To put things in perspective, you can play “Overwatch” and other games of that calibre at 120 frames per second (FPS) without the slightest signs of lag. Take note; the average computer is already having a tough time maintaining 60 FPS. It can run newly-released AAA games that demand a lot of computer memory and processing without any problem. Also, it has a powerful yet fairly quiet cooling system that maintains its optimal performance. Other than that, it has a very durable yet nicely designed body that will catch everyone’s attention. Overall, if you want to experience video games the way it should be, this laptop is for you. First of all, it’s a MacBook, which means you’re very much limited to both software and hardware options. Although Apple does offer a lot of apps, it’s not that many when compared to what you can get from Windows. And, in a word, it’s expensive. But don’t let that limitation discourage you. This laptop is undoubtedly powerful, durable, and classy. It has almost the exact specs of a Dell XPS15 but runs on macOS, specifically, High Sierra. The only thing that’s different about this computer is that it’s not, by all means, intended for gaming (unless you’re willing to change its OS). It is, however, tailored for video editors and graphic designers – a must-have in the industry. With its pioneering Touch Bar feature, you can easily access complex editing commands with a simple tap. And with Apple’s available editing programs, which are easier and provide more options than what’s available for Windows, you’re sure to produce outstanding results. The last on this list is one of my personal favorites, the Aspire E5. It is a 15.6-inch laptop that has an identical specification as with Dell’s Inspiron 5567. The only difference is that this machine has more storage using two devices. It has 1TB of HDD and 128GB of SDD storage. This feature allows programmers to install and run the programs they’re working on in the SDD for a smoother performance. And all their static content can rest in the HDD to save SDD space. But what makes it great for college students who’re into technology is due to its resilient, convenient nature. It uses premium-quality plastic and is relatively light (2.2 kilograms) for its performance. This laptop can endure daily in-and-out of the bag routines, which is common for most programming students. Also, it has a decent five-hour battery life when used extensively and will last longer when not. Lastly, it’s an all-purpose machine that won’t let you down – work or play.